It's the first of the month today, which means a new monthly donation item! This time we have Natural Immunity, a delicious little elixir that will permanently protect a dinosaur from all illnesses! 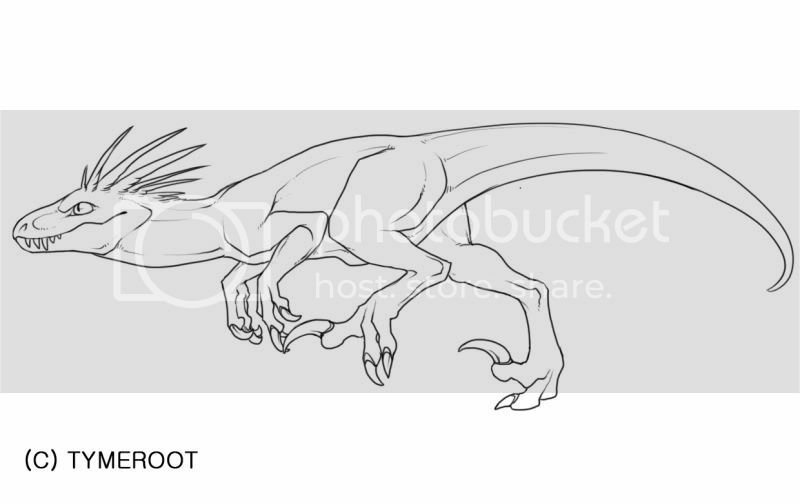 We also have a tweak to the Allosaurus adult, which is to shorten the belly to make sure he doesn't look like he's about to flop anymore! I also have a preview of the new T-Rex. Let me know what you guys think! Sorry for the recent lack of updates lately guys, I promise I'll make it up to you soon! I'm on bug patrol today though! Ooooof! So, I did quite a bunch of work today. This is what happened. Fish for sale up at $0 don't appear when searching for fish that are for sale anymore. * Herbivores now split by oldest ones first. * Dinos for sale in the lab that have a sale price of $30,000 or less will show up at the bottom, instead of just $10,000. * Next/previous buttons are present in herbivore enclosures. * Dinosaurs must now be at least age 60 to get the tumor vaccine. * There's a link back to enclosures after transferring dinos. * You can now copy/paste into the breeding tester and when you click "test breeding" the dino that you clicked that link from will be automatically filled into one of the input boxes. * Dinosaurs can now be healed from the 3rd party battle page! * Dinosaurs that are too hungry/unhealthy won't show up when searching for dinosaurs up for stud. * You can delete troughs in herbivore enclosures. * You can now swap eggs between full incubators. * Upgrades can now train all in a single enclosure. * Messages should now have a timestamp. Some automated messages might be missing them, though, so please poke me on the boards if you get any (new) messages with he time missing. Not sure if you guys saw this or not, but Xylax put up a speed painting of him making one of the Easter backgrounds. Oh look. It's the first of the month, and we're in need of a new "large" carnivore. THUS, I present to you.. This little beauty is available from feeding your dinosaurs a "Goldfish" - this month's monthly donation item. The easter events have also finished for this year but will start again next year. Hope you all found enough eggs and got what you wanted! A bunch of handy updates today! * You can now hover over a dinosaur's name when searching to view a thumbnail of it. * You can now search for eye colors. * You can now search by color groups (i.e, black, pink, etc). * You can now name eggs! * You may now use a URL to display your dinosaur's picture. This is considered a "Personal Overlay". No EX art is permitted to be in this picture and these should be used for custom drawn art for your dinosaur. * Smushed the higher or lower bug. Currently, all dinosaurs will have the same eye color they did before, but now with a set of genes. All lab dinosaurs will have the same eye color and same set of genes - though there will be a 1% chance of a new color coming through. Customs can choose any of the new eye colors, and of course, breeding will determine the eye colors in chicks. Edit: Regarding contacts, I've decided to let existing ones remain. New contacts will need to be exceedingly different to eye colors offered by the game in order to be accepted from now on. Edit II: There will likely be some items appear in the scale shop sooner or later to change eye colors on existing dinosaurs. You can only find a maximum of 100 or so foil eggs a day from now on. Once you've found that many, no more will appear until tomorrow. This is for your account only - it's 100 eggs per account, not entire site! And the Mystery Egg has been changed so that it transforms a dinosaur into an Allosaurus - not that you have to hatch one first. And I can also give notice that we will be adding genetically bred eye colors for dinosaurs very soon, so please no more eye-contact overlays submitted! As a pre-warning, old contacts will be deleted once the eye colors are set in place.